The Putra Place in Kuala Lumpur has finally been sold to OSK Trustee Bhd for RM513.95 million, some three years after the property was first put up for auction. The auction, held yesterday, is believed to be the largest public auction in Malaysia. Sources said OSK Trustee may have bought the property on behalf of one of the real estate investment trusts (REIT). Among OSK's clients, speculation is that Sunway REIT is the buyer. Sunway REIT's chief executive officer Datuk Jeffrey Ng Tiong Lip did not answer calls from Business Times. This move is not surprising as Sunway REIT manages malls, hotels and offices. Putra Place encompasses The Mall shopping complex, the Legend Hotel and an office tower. This purchase will also strengthen Sunway REIT's position as Malaysia's largest trust. Commerce International Merchant Bankers Bhd (CIMB) put the property up for auction to recover loans given to property owner, Metroplex Holdings Sdn Bhd. CIMB's counsel, Alan Gomez of Tommy Thomas Advocate & Solicitors, when contacted by Business Times said: "We confirm the successful auction of this property at the reserve price. The successful bidder was OSK Trustee Bhd." Gomez said OSK has placed a 10 per cent deposit and now has 120 days to complete the purchase. "The amount outstanding to the first chargee (CIMB) is in the region of RM140 million," he added. The second chargee Aseambankers Malaysia Bhd is said to be owed a substantial amount. Over the years, the auction price of the property was reduced thrice, as no bids were received. The property was first auctioned in April 2008 and the price was then set at RM705 million. The latest reserve value was RM513.95 million. The Mall comprises eight levels of podium retail/shopping units. The Putra Place office tower covers the tenth floor to the 33rd, while the 25-storey Legend Hotel includes serviced apartments and penthouses. 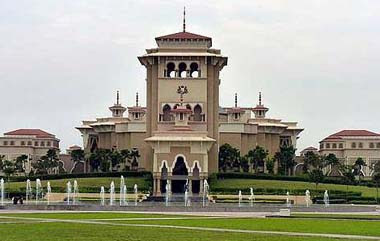 It is located on Jalan Putra opposite the Putra World Trade Centre. The freehold property, with 193,621 sq ft space, has 1,323 parking bays. BY 2020, Malaysia needs 50 per cent more hotel rooms to cater for the anticipated tourist arrivals of 36 million. As at February this year, there were a total of 1,610 hotels in the three to five star category and budget hotels in Malaysia. Together the hotels provide 161,117 rooms. The increase, Deputy Minister of Tourism Datuk Dr James Dawos Mamit said, would be required throughout the country. Malacca records the highest number of tourists, he added. Mamit, who read the speech on behalf of Tourism Minister Datuk Seri Dr Ng Yen Yen at the official launch of InterContinental Kuala Lumpur, said that in Kuala Lumpur alone there are 236 hotels, offering 30,000 rooms. 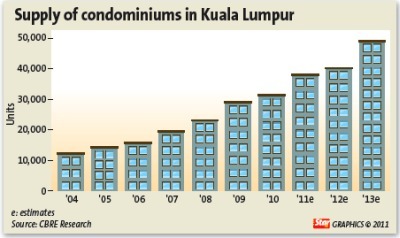 The average occupancy of hotels in Kuala Lumpur in 2010 was 66.9 per cent, which was 4.2 per cent higher than in 2009. However, the average occupancy of hotels in Malaysia declined by 1.6 per cent, registering 59.3 per cent. This was despite an increase in arrivals in 2010 of 24.6 million compared with 23.6 million in 2009. Mamit said the decline could have been a result of people opting for Malaysian Homestay. "There was a dramatic increase in the number of homestays," he said. This year's tourist arrivals target is set at 25 million and the government is looking at bringing in high-yield tourists. He added that any decline in arrivals from Japan will be cushioned by higher arrivals from China and India, particularly affluent tourists. Meanwhile, some of the confirmed new room inventory to enter the Klang Valley market over the next five years are St Regis Kuala Lumpur, Grand Hyatt, Pullman Bangsar, Best Western Premier Dua Sentral, Hilton Garden Inn, Movenpick, Park Regis Kuala Lumpur and Four Season Place. The government will allocate a portion of its landbank for the construction of affordable housing, especially for Malaysians eligible for the My First Home Scheme. Housing and Local Government Minister Datuk Chor Chee Heung said the affordable housing project, which will likely be stratified properties or apartments, will either be built by the government or through joint ventures with the private sector. "The government is looking at its landbank for the purpose of building houses for those earning RM3,000 a month and below. 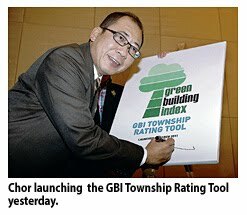 "We also hope that the state governments will do their part by imposing quotas for developers to build affordable homes, besides low-cost houses," he told a news conference after launching Green Building Index Township Rating Tool and Residential New Construction Tool (Version 2) in Kuala Lumpur yesterday. Chor also said that the government will start paying some RM1.4 billion annually to Alam Flora Sdn Bhd, SWM Environment Sdn Bhd and Idaman Bersih Sdn Bhd once the concession agreement is signed between the government and the three waste management companies. He said local councils in Peninsular Malaysia will collect some RM900 million from households for waste management services provided by these concessionaires, while the federal government will top up about RM500 million. Once the concession is signed, he said, the three operators must perform their duties according to the agreement and key performance indicators. Chor said the operators will also be able to deliver better services as they can use the concession agreement as collateral to obtain financing for capital expenditure. He said for the past 13 years, the three operators have been utilising their own resources in providing the services, besides not receiving full payment from the state governments. "We are currently studying the intricacies of the contract, which will take between three and four weeks. Then, we will submit it to the Cabinet, before it is submitted to the National Council for Local Government," he said. The minister, however, did not give the targeted date for the signing of the concession agreement. Currently, Alam Flora is responsible for Selangor, Kuala Lumpur, Pahang, Terengganu and Kelantan; SWN for Negri Sembilan, Malacca and Johor; and Idaman for Perak, Kedah, Penang and Perlis. Commenting on the statement made by Penang Chief Minister Lim Guan Eng to allow the state government to opt out of the Solid Waste and Urban Cleansing Management Act and choose its own contractor for the services, Chor said: "Let time convince those state governments that do not agree." It is understood that there are three states that have yet to accept the taking over of solid waste services by the government-appointed concessionaires. 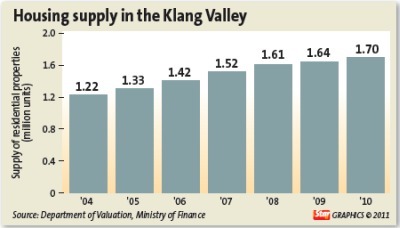 PETALING JAYA: A shortage of industrial properties and absence of new industrial park projects in the Klang Valley have resulted in higher prices and opened up opportunities for developers with large landbank, especially those near highways, to venture into industrial park projects. Property consultancy, VPC Alliance (KL) Sdn Bhd managing director James Wong said over the past six years, vacant industrial land in premier industrial parks such as Bukit Jelutong, Glenmarie and Section 23 Shah Alam had seen substantial price increases of between 60% and 100% in 2010, or an annualised increase of 10% to 17% a year. Average prices of industrial units rose by 8% to 18% in the first half of 2010 over the same period in 2009. Currently, industrial property is still a small sector of the overall property market, accounting for 2.5% of the total property transactions and about 10% of the total value of property transactions. The average yearly transaction of industrial properties is only about 8,000 units. “The industrial property market is considered quiet for the past few years as developers are concentrating on residential and commercial developments and there is hardly a developer that concentrates on industrial development,” Wong told StarBiz. Wong said last year, the manufacturing sector attracted RM47.2bil of approved investments, compared with RM32.6bil in 2009, a jump of 44.8%. This will translate to more demand for industrial properties. In the past decade, the majority of new industrial parks in the Klang Valley were developed by the Selangor State Development Corp and there were no new industrial parks by private developers. Many of the private industrial parks are fully developed and sold, and they are only available in the secondary market. “There are opportunities to develop modern three-storey semi-detached factories in pockets of prime industrial parks and with easy access to highways,” he added. The development of SME parks to cater to the SMEs was still a neglected sector, Wong said, adding that although the SMEs' contribution to the national gross development product was more than 30%, many of them were still located in illegal buildings and squatter areas. “Developers should develop parks for the SME industries of similar trades to group them together, such as shoe-making SMEs industrial parks with amenities such as common canteen, food courts, and also staff housing for the workers,” he added. 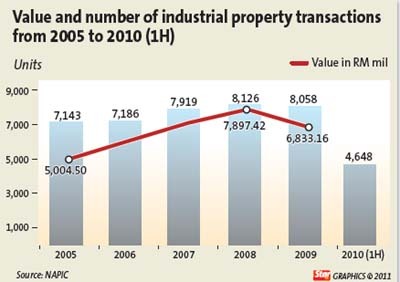 According to figures provided by the National Property Information Centre, the value of industrial property transactions grew by 44% from RM3.06bil in the first half of 2009 to RM4.4bil in the same period of 2010, while the volume of transaction increased by 29.3% from 3,596 to 4,648. The rise was mainly due to demand from SMEs seeking small-sized industrial buildings with good concepts in strategic locations with excellent accessibility. Wong said Mah Sing was the pioneer in the new generation of semi-detached factories for multi-purpose use. According to Mah Sing Group Bhd group chief executive and managing director Tan Sri Leong Hoy Kum, there is pent-up demand for three-storey semi-detached corporate factories. He said the shortcomings faced by the sector were that generally the older units were either detached (with too large built-up) or linked (small built-up), and did not have the capacity for multi-purpose use. “Our research shows that semi-detached factories currently make up about 10% of the total supply of industrial units in the Klang Valley. 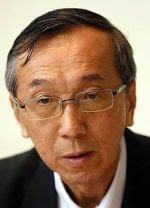 We foresee there will be strong demand from the SMEs, halal food industries, light manufacturing, distributive trade and those who need to upgrade to industrial properties which can serve multi-purpose functions such as integrating their logistics, warehousing, showrooms and offices under one roof,” Leong added. Mah Sing is undertaking three i-Parc industrial projects comprisingthree-storey semi-detached corporate factories which have 4-in-1 centralised function as a factory, corporate office, showroom and warehouse. “Our buyers are mainly local companies looking to integrate their corporate headquarters with operations and warehousing facilities as well as multinational corporations from various industries which see the commercial potential of locating in these schemes,” he added. PETALING JAYA: Bank Negara's move last November to introduce a loan-to-value (LTV) ratio for third and subsequent house financing facilities will not hamper residential mortgage loans growth this year or even reduce residential property prices significantly. A local bank-backed analyst said residential home loans growth might see a slight slowdown as the measure by the regulator would curb speculative investment activities. She said the slowdown would not be drastic, as 70% to 90% of banks' mortgage loans were held by homeowners, who were not speculative investors but had purchased residential properties to live in. “Our population has a high number of people below 30 years, who are purchasing properties to live in,” she said. Bank Negara said in its “Financial Stability and Payment Systems Report 2010” that house prices in selected locations within and surrounding urban areas had shot up to four times higher than the national house price index. It also added that there had been incidents of applications for financing of multiple residential units within a single development project from a single borrower. To address this, the LTV ratio was placed into effect, aimed at promoting a stable and sustainable property market by deterring speculative activity through higher equity requirements for transactions of these nature. Maybank Investment Bank Research said in a report earlier this month that housing loan applications had declined for the last three months on a month-on-month basis, partly due to recent measures to curb property lending, namely the LTV imposition. Loans applications for residential purchases fell 3.8% month-on-month from December 2010 to January 2011, 7.1% from November 2010 to December 2010 and 9.6% from October 2010 to November 2010. However, another local bank-backed analyst said the decline in housing loans applications could be seasonal and could pick up as the year progressed. “I still think it is early days to attribute the decline to the LTV imposition only. Generally, I do not see this new measure having much of an impact on residential housing loans growth this year,” he added. Zerin Properties group chief executive officer Previndran Singhe said the regulator's cooling-off measure would have minimal impact on the property market, as individuals looking at third properties were usually cashed up and took a long-term view on real estate. “Moreover, speculative activities in Malaysia are limited so the impact (on property prices) will be very minimal as prices are driven by domestic demand,” he added. MIDF Research chief economist Anthony Dass said a curb on speculative investment of properties and slower loans growth could see a correction in property prices and the downside risk, more so for high-rise properties, would be contained. 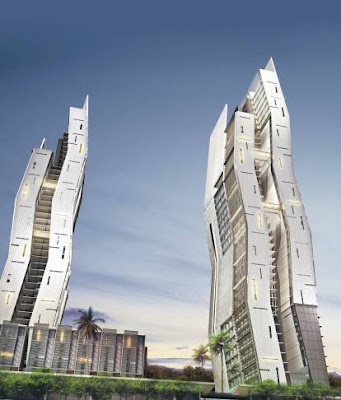 An artist’s impression of The Capers condominum which will be built by YTL Land in Sentul. PETALING JAYA: YTL Land & Development Bhd, which is launching its condominium development The Capers at Sentul East today, caused a “mad rush” among potential buyers looking to lock in sales. “There was a mad rush of people scrambling in. The food for the guests was left uneaten,” said a fund manager who was on-site to buy a unit yesterday. At press time, about 80% of Block A has been taken up, according to a sales person when contacted by StarBizWeek yesterday. The Capers, which has a gross development value of RM350mil, consists of 338 units housed in two 36-storey towers and 128 low-rise suites. Built-up areas for the tower units range from 695 sq ft to 1,567 sq ft with two bedrooms and 3+1 bedrooms configurations. The low-rise suites are made up of duplexes and 3-storey single-level suites. Sizes are 999 sq ft (2+1 bedrooms) and 1,965 sq ft (duplex 4+1+1 bedrooms). YTL Land executive director Datuk Yeoh Seok Kian said one of the top selling points of The Capers was its design. “The Capers' other unique points include its freehold status, a prime city location that is well-connected by road and train, backed by a 294-acre masterplan that has been dedicated to re-generate this 100-year-old town with a new vibrancy,” he told StarBizWeek in an e-mail. The Capers is the third residential development in Sentul East after The Tamarind and The Saffron (both sell-out projects were launched in 2005 and 2006 respectively). Sentul is one of the areas that has been earmarked as a “hotspot” to benefit from the Government's upcoming mass rapid transit (MRT) project. YTL Land is the first developer to launch a development that is close to an upcoming MRT station. Yeoh noted that Sentul already enjoyed a multi-connected infrastructure network, placing it in direct access with key locations by road and train. Yeoh said that in the future, all Sentul East developments would be connected via a sky bridge to provide convenience to the community and create a thriving and well-connected hot spot. He said the first connection would be built in the later part of this year. PROPERTY developer Naza TTDI Sdn Bhd is aiming to be among the top 10 property players in the country in three years' time and the No. 1 developer in five years' time. Group managing director SM Faliq SM Nasimuddin says the group is up for the challenge and believe the goals are achievable based on a few factors. “With major high impact projects in hand, more merger and acquisition in the pipeline and the strength of our workforce, the goals are achievable,” he says in an e-mail reply. SM Faliq says the group plans to focus on its high impact projects such as the Platinum Park, and targets a turnover of RM1bil this year and RM2bil within the next three years. “We will continue to improve on our deliverables that includes product innovation, quality and customer service,” he says. Group turnover in 2010 was RM635mil and to achieve the RM1bil turnover target this year, 18 more property launches will be carried out with gross development value (GDV) of RM1.6bil. “We are targeting RM100mil net profit this year and RM200mil within the next three years. We have a number of exciting launches this year that begin with the launch of TTDI Adina, a mix development in Section 13, Shah Alam,” he says. 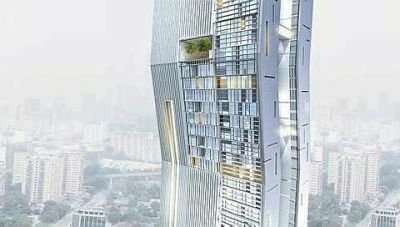 The new launches will also comprise both residential and commercial developments such as TTDI Grove in Kajang, TTDI Alam Impian in Shah Alam, TTDI Dualis in Puchong as well as a 35-storey tower at Jalan Tun Razak, Kuala Lumpur. “Our market is well diversified. We cater to various market segments with our high-end boutique, township and commercial developments,” he says. SM Faliq says Naza TTDI has also established an associate construction company Naza TTDI Construction to complement the former's business and offer complete construction services, specialising in the fields of building, civil engineering and infrastructure works. “Our diversification into construction will be another avenue for growth and within these three years, we hope to build an entity that will be well respected for its own portfolio and achievements,” he says. He adds that the group is looking at expanding its land bank (now reaching over 400 acres) locally and regionally. “We are also looking at going into our neighbouring countries with high impact, high visibility projects that hopefully will provide us with the necessary profile to propel us into the global property market,' he says, adding that among the countries the group is eyeing are Singapore, Vietnam, Indonesia and China. On the outlook of property market this year, SM Faliq says Naza TTDI is confident that the local property market is sustainable and will continue to be so as buying activities are backed by economic fundamentals and genuine purchasers. “But having said so, certain fundamentals like the attractive interest rates have to remain encouraging for the purchasers,” he says. He adds that the Government's Economic Transformation Programme (ETP) has shown concrete and quantifiable results in a relatively short time, and the group is excited about the ETP. “It is a long-term programme for Malaysia to become a high-income, high-value economy and execution is crucial. We welcome the initiative for Greater KL to be a National Key Economic Area as this will boost demand for properties,” he says. SM Faliq says NAZA TTDI also lauds the Government's commitment to increase and improve road connectivity and the public transportation system. “While our projects already enjoy excellent accessibility, any additional connectivity will bring added convenience for residents and tenants, and has the potential to increase property values. There are in fact many Malaysian developers who are capable of developing properties of international standard. In this regard, NAZA TTDI is one of the top privatelyowned companies with the capability and potential to successfully develop mega projects and also niche boutique projects with quality comparable to international standards,” he says. An artist’s impression of PJCC Development’s The Pod on-site sales office and showroom gallery. When PJCC Development Sdn Bhd decided to build its on-site sales office and showroom gallery for its ongoing integrated commercial hub project, Petaling Jaya Commercial City (PJCC), the challenges were many. As PJCC Development managing director Jacqueline Daniele Roberts recalls, the company wasn't looking to develop a bland, flat structure. “We wanted it (the on-site sales office and showroom gallery) to be something unique, iconic, futuristic and symbolic to represent the whole development,” she tells StarBizWeek. The final output was The Pod, a structure that has to be seen to be believed. Roberts says one of the major concerns was whether the final structure would end up resembling how it looked on paper. “It was a complicated building to build and whenever you want to build something unusual, it's always a challenge. When you see something in a rendered picture, it does not resemble exactly the image you initially intended once it's completed. Fortunately for PJCC Development, everything fell into place, says Roberts. 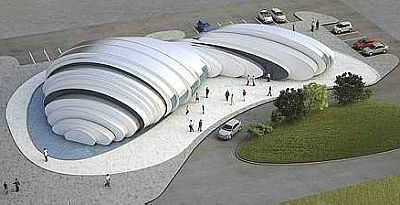 The Pod was designed by architects of Hijjas Kasturi from Malaysia, in collaboration with Studio Nicoletti of Italy. The latter has worked on key projects such as the Palermo Sport Palace, the Italian Parliament Conference Centre and the Hall of Justice in Arezzo. Water droplets were the inspiration for The Pod, creating a dynamic spherical form resulting in a primitive building archetype with a modern twist. The Pod stands out the most when viewed from the sky. The building appears to be sliced diagonally into a series of ribbons, its shape formed in a series of elliptical sections of variable widths and heights. The structure is fabricated from tubular steel members with the exterior made of reflective aluminium panels. Its exterior colour shades also changes depending on the reflection of the sun. Roberts is not revealing how much was invested to build The Pod. “It wasn't cheap,” she says, adding that The pod took about 12 months (from conception to completion). The Pod has a floor size of 7,500 sq ft, Internally, it is divided into two parts. One zone is dedicated to the corporate office area while the main showroom and sales gallery. PJCC Development will be officially launching The Pod on March 31 in a ceremony that will be officiated by Petaling Jaya mayor Datuk Mohamad Roslan Sakiman as well as the Italian architects and its ambassadors. Roberts says design of The Pod has also inspired PJCC Development to replicate it for other structures. “Everyone who's seen it says it'd make a fantastic design for a house,” he says, laughing. When looking at a miniature model of the company's entire PJCC development (in its show gallery), The Pod is however nowhere in sight. A few blocks of office towers, instead, are visible where it (The Pod) should be. That's because the office towers will be built where the The Pod is currently located. But because of its unique structure and appeal, Roberts says the company may just reconsider its plans. “We have all gotten quite fond of it (The Pod). It's a beautiful building and we may review our plans (to build the office towers). We may build the towers around The Pod instead,” she says. Nestled along the New Pantai Expressway (NPE), PJCC is being developed in multiple phases over a period of 10 years. Construction began in 2006. Its first phase comprises 750,000 sq ft of shop offices. To date, 500,000 sq ft of built-up space have been completed, all of which have been fully sold. Roberts says the shop offices were went for RM130 per sq ft in 2007 and today costs about RM350 per sq ft.
Next to be launched by year-end is a 13-storey corporate tower, a 380-rooms four-star hotel and a block of 180 units of serviced apartments. There are also plans to build more office space and a shopping complex. The overall mix development's projected gross development value (GDV) is estimated at RM2bil. Once fully completed, PJCC will feature approximately 2.5 million sq ft of prime commercial properties. 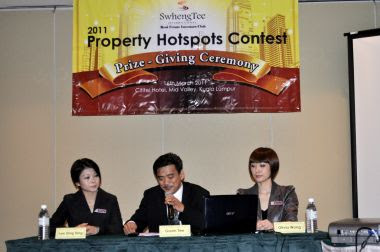 According to Roberts, PJCC was recently voted to be year 2011's top three hotspot for investment in Klang Valley, Malaysia by 250 property's investors in Swhengtee International Real Estate Investors Club's Forecast Seminar. Which home loan to opt for? For new homeowners, fixed rate loans may be a good alternative provided they are able to lock in when interest rates are still low. A Home buyer with a floating interest rate home loan may feel slightly unnerved in a rising interest rate environment. Just in a span of five months, Bank Negara had raised the overnight policy rate (OPR) by 75 basis points to 2.75% last year and local economists expect the central bank to raise the OPR further in the second half of this year. As the OPR moves up, banks will also look to increase their base lending rates (BLRs) and a higher BLR will undoubtedly have an impact on a floating rate housing loan. BLR is typically defined as a minimum interest rate charged by banks after considering its cost of funds and other administrative costs. As most floating rate loans track the BLR, the interest charged will fluctuate based on the rise and fall of the BLR throughout the tenure of the loan while a fixed home loan ensures that the interest charged is fixed throughout the loan's tenure. So how do you make a decision on which home loan to opt for, be it fixed or floating? For individuals currently servicing floating rate housing loans, jumping to fixed home loans immediately may not be the best alternative. Considerations that one needs to take into account include the cost incurred in refinancing a home loan, as there are fees or penalties impose by the existing financier for exiting your current loan contract. Also, refinancing will see the individual having to abide by new terms and conditions, which means that the individual's lock in period for the loan may start again. But on the upside, you may receive better prepayment conditions and favourable rates with the new loan. If a home owner does not foresee a steep rise in interest rates and the variable rate home loan tenure is coming to an end soon, the differential in savings from switching may be small considering that fixed home rates are also inclined to move up in a rising interest rate environment. “It's important to take note of how many more years you have on your loan tenure. If you have a couple of years left, it may not be worth switching considering the cost of refinancing,” says Whitman Independent Advisors Sdn Bhd managing director Yap Ming Hui. However, for new homeowners, fixed rate loans may be a good alternative provided they are able to lock in when interest rates are still low. Ng Wei Kian opted for a fixed rate home loan when he first purchased his home. “I'm a type A personality and with the worry that interest rates may move up, I'm much more comfortable servicing a fixed rate home loan,” he says. He adds that since he is an employee with a fixed monthly income, knowing how much he has to pay on a monthly basis provides him with peace of mind, especially since his housing loan is his biggest financial commitment. “Another plus point is that as you progress in your career and see a higher salary base, your monthly loan repayment becomes smaller in comparison to your earning power,” he says. While fixed rate loans tend to suit risk-averse individuals, it is best to seek out various options offered by banks and insurers alike in their product offering before one commits to a housing loan with repayments locked in for 30 years. A quick check on website www.bankinginfo.com.my shows that BLR among banks here range between 6% and 6.30% as of October last year while there are some attractive fixed home loans out there, with one insurer even offering a fixed income rate at 4.85% per annum (non zero moving costs) and 5.25% per annum (zero entry cost). The key take away in making a switch in a housing loan is to examine your financial situation and only change if the penalty fees charged outweigh the savings benefit from the new loan. The residential property market has been experiencing an upturn since the fourth quarter of 2009 as demand rebounded by 7.1% (2009: -2.3%) following improved consumer sentiments. Meanwhile, the increase in housing stock moderated in 2010 as housing started a declining trend. The widening gap between supply and demand has kept property prices elevated, although at the national level, the Malaysian House Price Index rose only moderately by 6.2% up to the third quarter of 2010. Substantial increases in house prices had been observed in selected locations within and surrounding the urban areas where price increases were up to four times higher than the national house price index. Price increases in these locations have in turn resulted in prices of properties in the surrounding locations to increase, making homeownership increasingly less affordable for the average Malaysian. There have also been incidents of applications for financing of multiple residential units within a single development project from a single borrower. To address this development, borrowers are subjected to a loan-to-value (LTV) ratio of 70% for the third and subsequent house financing facilities with effect from Nov 3, 2010. This measure aims to promote a stable and sustainable property market by deterring speculative activity through higher equity requirements for transactions of these nature. In January 2011, Bank Negara revised the risk weights applied under the capital adequacy framework from 75% to 100% for housing loans with LTVs exceeding 90% to further reinforce prudent underwriting practices. While a large fraction of household borrowings was collateralised (45.3% was for the purchase of residential properties), personal financing had increased significantly as outstanding personal financing grew by 17.5% to account for 14.6% of household debt last year (2006: 9.6%). Development financial institutions (DFIs), cooperatives and building societies accounted for the bulk of this growth, with almost 80% granted under salary-deduction schemes. The absence of robust credit and affordability assessments will result in households being more at risk of becoming over-indebted, while the risk of defaulting on financing obligations, including those obtained from other banking institutions, will be higher for borrowers who have over-borrowed. Excluding the DFIs, personal financing exposures of commercial banks increased at a lower rate of 13% to account for 8.6% of banking system household loans. Despite a reduction in the number of cards owned by households following the imposition of a RM50 fee by the Government on credit cards in 2010, outstanding credit card balances increased by 15.2% to RM30.8bil as at end-2010 to account for 5.3% of household debts. Similarly, outstanding balances per credit cardholder rose by 15.1% to RM9,516 as at end-2010. The number of credit card holders with revolving balances (excluding defaulters) accounted for 47.9% of total credit cardholders. More than half of credit cardholders with revolving balances were those earning an annual income of RM36,000 and below. Meanwhile, the level of non-performing loan (NPL) ratio for credit cards issued by banks and non-banks remained low at 1.7%. To ensure that credit card debts are maintained at manageable levels, a number of pre-emptive measures have been introduced, including raising minimum income eligibility, limiting the number of credit card ownership and aggregate credit limit for those with annual income of RM36,000 and below. Loans-in-arrears across most categories of household debts remained stable, while loans-in-arrears for personal financing, which drifted upwards in the early part of last year, started to come down in the fourth quarter of 2010. As at end-2010, the NPL ratio for household loans was 2.3%. The ratio of household loan repayment-to-disbursement increased marginally to 87.8%. The highly-competitive environment and the increased indebtedness of households have called for pre-emptive measures to preserve the resilience of the household sector going forward. Although personal bankruptcies and relapse rate among borrowers under AKPK's Debt Management Programme have been manageable, they have been on the increase since 2007. Several initiatives have been implemented during the year to ensure the continued resilience of the household sector, including a programme to educate younger and first-time borrowers on responsible borrowing, tighter standards for credit cards and enhanced requirements on the conduct of business by financial institutions in retail financing. Bank Negara will also issue new guidelines by April on the conduct of business in retail financing, which set the minimum standards to deliver a more responsible approach to lending by the financial institutions. Food and beverage heaven: A model of the 1Gateway project. Klang will have a new food and beverage (F&B) landmark once the 1Gateway project is up. Covering a sprawling seven hectares, the project in Taman Datuk Abdul Hamid will comprise shoplots and two towers — one to be taken up by hotel chain Novotel while the other will house offices. Co-developer Legenda Erajuta Sdn Bhd (LESB) said it planned to turn 1Gateway into a food and beverage hub. Besides eateries, it also plans to attract banks and a hypermarket. Parking will also not be an issue, with more than 3,000 parking bays included in the plans. “I believe in Klang’s potential. 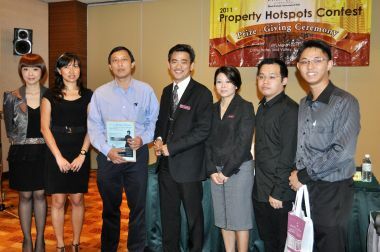 The population is quite dense and the people’s buying power is great,” said LESB managing director Datuk Raymond Chan. He said the new plans for 1Gateway would be completed in four years, starting from the date LESB receives approval from the relevant authorities. LESB is a subsidiary of Sagajuta (Sabah) Sdn Bhd, who developed a string of projects in Sabah including 1Borneo, 1Sulaman, Warisan Square and Kingfisher Ujana. 1Gateway was previously known as Intania, which had been abandoned for several years. Recently, developer Dermaga Suasa Sdn Bhd (DSSB) announced that LESB had agreed to come in as the white knight to save the project. Phase One of the Intania project, comprising two blocks of shoplots, had already been completed and occupied, while another 16 units of shoplots under Phase 2B were 80% completed when it was abandoned. Chan promised the buyers of Phase 2B that their units would be delivered within six months. Buyers of Phase 2A, which comprised two blocks of 500-unit condominiums, would have their investment compensated in accordance with the sale and purchase agreements as the developer had decided against building residential property there. The gross development value (GDV) of the project is projected to be more than RM400mil, down from the RM600mil when Intania was first launched in 1999. “The minimum GDV is RM400mil. We are still revising it. It is no less than RM400mil, depending on market demands it could come close to the RM600mil (projected initially),” said Chan. DSSB project manager Anthony Lee Tee said the project was affected by the economic crisis in 2001 and 2002, and work stopped in 2006 after encountering legal issues with PKA. “Intania is a privatisation project between Dermaga Suasa Sdn Bhd (DSSB) and Port Klang Authority (PKA), with PKA being the landowner and the project initially awarded to DSSB,” said Lee. Lee said in December last year, the PKA board “sensibly” decided to break the impasse and allow the project to continue. Prices for the new homes at ArtHouse, designed by award winning architects dRMM, will be announced on Friday, April 15th at an exhibition to be held at the JW Marriot, Kuala Lumpur. Located between the new Central Saint Martins College of Art and Design – probably the best known art college in the world and part of the University of the Arts London - and Kings Place - home to two concert halls, two galleries and a restaurant, as well as major companies such as Guardian Media Group – ArtHouse offers 114 one, two and three-bedroom private apartments, duplexes and penthouses. ArtHouse is scheduled for completion in 2013. ArtHouse residents will enjoy panoramic views over London and a prime location, close to the capital’s best transport interchange with the Eurostar at St Pancras International, mainline connections at King’s Cross Station and six tube lines, all within a few minutes walk. King’s Cross, in Zone 1, is also close to numerous leading universities and a variety of the major museums and cultural institutions that make up this world city. ArtHouse is immediately next to the Regent’s Canal, the new Handyside Park and the new fountains of Granary Square. The building’s sophisticated and striking façade is dressed in terracotta and polished stainless steel, complementing the significant architectural and industrial heritage of its neighbours. Exterior sliding aluminium louvres animate the façade, shading and cooling the interior and enhancing privacy. Handyside Park runs the full length of the building, extending visually into the lobby through the landscaped courtyards and the glazed ground floor cloisters. Many apartments at ArtHouse have park, canal or city views from generous balconies and some are dual aspect. The properties are well-insulated, light-filled and intelligently designed with contemporary interiors and bespoke kitchen and bathroom suites by specialist Johnson Naylor. A 24-hour concierge and security service will be onsite and underground parking will be available for purchase. All new homes will be managed by the King’s Cross Estate and Building Management teams. ‘Green’ features have been integrated into the design of ArtHouse from the beginning in order to achieve a target of Code for Sustainable Homes Level 4. All of the building’s hot water comes from the super-efficient King’s Cross Energy Centre which offsets around 75% of the whole development’s electricity needs. King’s Cross, already Europe’s most connected location, is on its way to becoming the new cultural centre of London. New restaurants, shops, markets, health and fitness facilities, music venues, cinemas, hotels, a school and the new home of Central Saint Martins, will make King’s Cross the most exciting centre of any western capital city. N1C is the new post code covering the 67 acre King’s Cross development and St Pancras International - the “C” representing its Central London location. The opportunity for both investors and home buyers is unique – stunning brand new one, twoand three bedroom homes with a host of cultural, commercial and leisure facilities on the doorstep, will be available from April 2011 onwards. KUALA LUMPUR: BERJAYA LAND BHD posted net profit RM34.91 million for its third quarter ended Jan 31, 2011 compared to net loss RM8.57 million a year earlier, due mainly to higher profit contribution from the gaming business operated under BERJAYA SPORTS TOTO BHD (BToto). Revenue for the quarter declined to RM990.59 million from RM993.96 million last year. Earnings per share improved to 0.70 sen from loss per share of 0.17 sen, while net assets per share was RM1.04. For the nine months ended Jan 31, BJLand’s net profit jumped to RM85.13 million from RM35.42 million, on the back of revenue RM2.99 billion. Reviewing its performance, BJLand said its property development and investment business also reported higher profit contribution from the property sales registered in the current quarter under review. The group also reported higher dividend income from its quoted investments, it said. “In the preceding year corresponding quarter, the group incurred impairment in value of certain investment in associated companies and quoted investments,’ it said on Tuesday, March 22. BJLand said the higher net profit for the nine-month period was due mainly to the exceptional gain arising from the disposal of an associated company amounting to RM53.2 million; higher property sales from property development business; higher dividend income received from certain quoted investments of the group; and higher share of profit from associated companies as well as lower share of losses from jointly controlled entities. The company said its performance for the remaining quarter of the financial year ending April 30, 2011 would remain satisfactory. House owners looking at renovating or refurbishing their homes can mark March 31 till April 3 on their calendars for the Perfect Livin’ 11 exhibition. Organised by CNM Events Marketing Sdn Bhd, the exhibition is back for the fifth time to offer a one-stop platform for home and lifestyle needs at PWTC in Kuala Lumpur. Besides the 300 exhibitors at the 10 specific zones, a new addition to the exhibition — the Hall of Elegance — will be presenting premium products and services from eight selected exhibitors at Tun Hussein Onn Hall on Level 2. The exclusive exhibitors include Kollektion Distribution, Sleep Suite, Alfo Designs, Beyond Arena, Bagus Curtain, AZ Klang Home Decor, Milanohause and Luzzone Gallery. To enhance the shopping experience at the Hall of Elegance, there will be music performances at the VIP lounge. Meanwhile, CNM Events Marketing CEO Adriana Law said every shopper who spends RM1,000 and above at Perfect Livin’ 11 would be rewarded. For instance, those who purchase products and services worth RM3,000 and more would take home a 20cm stainless steel stew pot with glass lid or a set of five stainless steel knives. “Besides, we are also offering RM30,000 for lucky shoppers. Those who spend RM1,000 and above are in the running to win either RM15,000, RM10,000 or RM5,000,” she said. There will also be a Purchase & Win contest for shoppers who spend RM100 and above, and colouring contests for children aged 12 and below. Cooking demonstrations and talks on feng shui (by master Yap Cheng Hai) and interior designing would be held on April 2 and 3. Law was confident that the low prices and discounts would not disappoint the visitors. “We are the biggest home and lifestyle exhibition with more than 950 booths. Last year, we attracted about 130,000 visitors and we hope to see a 10% increase this year,” Law said. For details, call 03-8075 7375 or visit http://www.perfectlivin.com/. PETALING JAYA: SP Setia Bhd’s earnings rose 62.41% to RM62.03mil for the quarter ended Jan 31 versus a year earlier, on property development activities in the Klang Valley, Johor Baru and Penang. The company’s revenue climbed 42.59% to RM518.88mil. 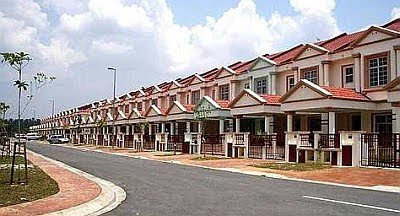 SP Setia told Bursa Malaysia that the current period’s proft after-tax was arrived at after expensing approximately RM6mil for employees share options for the scheme launched in May 2009 with a further RM16mil for the cost of financial incentives pursuant to the successful 5/95, Best for the Best and Invest Setiahomes campaigns. 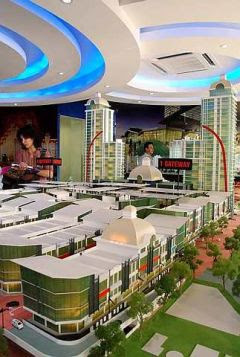 The RM600 million Intania commercial project abandoned three years ago in Klang, Selangor, will be revived this month. The project, now called 1Gateway Klang, will be developed by turnkey contractor Erajuta Sdn Bhd, a unit of Sagajuta (Sabah) Sdn Bhd. Port Klang Authority, the land owner, has approved and endorsed Erajuta as the white knight in December 2010, to complete the development. Intania, a joint venture between Port Klang Authority and Dermaga Suasa Sdn Bhd, controlled by Tan Sri Megat Najmuddin Megat Khas, stopped in 2006 following a dispute between both parties on privatisation matters. The project was awarded to Dermaga Suasa in 1999 by the Economic Planning Unit through a privatisation agreement with the Port Klang Authority. 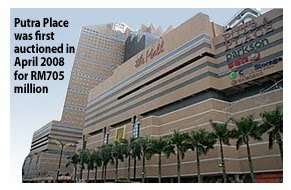 When the project stalled, only 13 units of four to six storey shoplots were sold and built while 16 units of 3-storey shoplots were left half way during construction. "There were some impairs in terms of settlement and that has been resolved. "We will submit all relevant documents and plans to the authorities soon," said Sagajuta managing director and executive chairman Datuk Raymond Chan. Chan told reporters in Klang yesterday that the concept for the project will change to be market driven. Previously, the project was to feature medium to high-end apartments, serviced apartment, shoplots and an office tower. The new plans will comprise the 4-star Novotel hotel, a 31-storey office tower, a hypermarket, duplex shops, shoplots, a 3,000-bay carpark and a food hub. PETALING JAYA: Karambunai Corp Bhd's wholly-owned subsidiary, Karambunai Resorts Sdn Bhd, has signed a joint venture agreement with China Central Asia Group Co Ltd (CCAG) to develop the RM1bil first phase of the Karambunai Integrated Resort City (KIRC) in Kota Kinabalu. Karambunai Corp told Bursa Malaysia yesterday that CCAG would inject a seed capital of US$100mil as a revolving fund to develop about 3,000 units of low and medium high rise residential buildings. The fund also covers the development of a commercial beachfront centre on 75 acres owned by Karambunai Resorts. A subsidiary to be incorporated later by Karambunai Resorts will be entitled to 50% of the net profit while CCAG will take the rest. KIRC, which will include tourism, health and eco-nature edu-tainment recreation facilities, is to be developed over eight years starting from next year. PETALING JAYA: The Employees Provident Fund (EPF) has bought a commercial building in central London from Union Investment for £148mil. It marks the EPF’s third property investment there since announcing an allocation of £1bil for British property purchases, Savills Rahim & Co said. Union Investment, a Germany-based fund, is one of Europe’s leading asset managers for private and institutional clients. EPF, in just seven months of unveiling the buy-British plans in August, has spent £485mil of the £1bil allocation. The central London and international team of London-based property consultancy Savills handled the sale of the 225,000-sq-ft office building, Whitefriars. The building is located at 65, Fleet Street, London EC4. It is currently used by law firm Freshfields Bruckhaus Deringer as its headquarters until 2021. It has a yield of 5.75%. EPF’s other two property purchases are One Sheldon Square in Paddington Central, which was bought for £156mil, and 40 Portman Square near Oxford Street which was acquired for £180mil. The two properties have yields of 5.75% and 5.55% respectively. Notable buildings close to Whitefriars include Goldman Sachs’ campus HQ (Peterborough Court & River Court), Deloitte’s headquarters, Land Securities’ development at New Street Square and the Royal Courts of Justice. Whitefriars was developed by Kumagai Gumi and completed in November 1989. It provides approximately 232,825 sq ft of net internal air-conditioned office, retail and public house accommodation in two office buildings, as well as 24-car parking spaces. The space benefits from excellent natural light and the upper floors overlooking central London, River Thames, the London Eye and the Houses of Parliament. In property jargon, it was developed to Grade A specification. The purchase is part of EPF’s strategy to diversify its portfolio of income-generating assets and to increase its exposure to the property sector. So far, equities have been its largest contributor, representing 45.45% of the fund’s total gross investment income. Last year, EPF’s gross investment income reached a historial high of RM24bil, of which RM11bil was earned from equities, and RM103mil from property and miscellaneous income. The prime central London market has been recovering strongly since the first quarter of 2009. Prime yields are currently around 4% in the West End and 5.25% in the City, compared with about 3.5% and 4.25% respectively prior to the crash in 2007. Said a Savills source: “With greater demand than supply, we anticipate that prime yields may be sustained, if not compress slightly more. “Demand for assets is being driven largely by overseas investors attracted to the UK due to the high-quality assets, tenants, long leases, landlord bias legal structure and upward only rent reviews, as well as, historically low interest rates, weak pound sterling and strong rental growth projections over the short to medium term. “In terms of the prime markets outside London, the recovery is slower while the secondary/tertiary markets remain volatile,” the source said. The fast-growing district of Puchong in Selangor will welcome a Hilton hotel in 2013, which is part of a RM1.5 billion mixed-development project named Millenia City. The project, located on a 40.5-hectare site, is being developed by privately-held Millenium Land Sdn Bhd, which shares similar directors as Tanco Bhd. The group yesterday signed an agreement with international hotel chain, Hilton Worldwide, to manage Hilton Garden Inn Hotel that will target the mid-market business and leisure travellers. Millennia City, which is set to be the commercial heartbeat of Puchong, will comprise M Square, a 380,000 sq ft self-enclosed six-storey shopping mall that is linked to the 255-room Hilton Garden Inn and a 2.1 million sq ft Street Mall comprising 13 blocks of six-storey retail and office units. 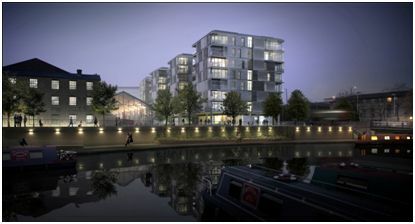 The development will start by the third quarter this year and is targeted for completion by 2013. The company also plans to build high-rise apartment, targeting the high income group. "From our research, we found that Puchong is currently one of the fastest growing districts in Malaysia in terms of growth especially in three key area - population, monthly household income and commercialisation," said executive director Benjamin Tan in Kuala Lumpur. Also present at the signing ceremony were tourism minister Datuk Seri Ng Yen Yen and Hilton Worldwide senior vice president Middle East and Asia Pacific Andrew Clough. The primary catchment in Puchong reaches an estimated 420,000 people while its secondary catchment area, some 10 minutes away, reaches some 1.2 million people. "As such, we believe that the development of Millennia City will be a highly significant project as we foresee it to be a major cornerstone of a modern, trendy and touristy Puchong," said Tan.